A LEADING supplier of safety equipment has put its faith in Nissan to deliver the goods nationwide by investing in a fleet of 12 vehicles. Ash Safety, which specialises in confined spaces and height safety not only hires out safety equipment but also services equipment, manufactures its own range and runs courses on how to use certain apparatus. Its 12 Nissans, which make up more than a third of its total fleet, comprise seven NV200 vans and five Nissan Navaras. 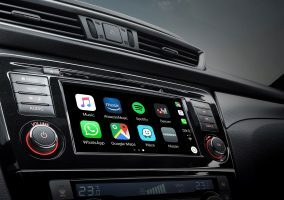 Most of them are based at the company’s headquarters in Honiton, with some located at its Swindon site. 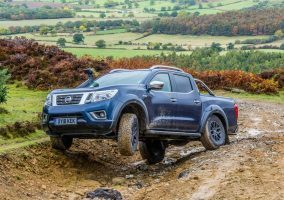 All vehicles are used to deliver equipment to clients, with the Navaras especially useful for attending off-road site visits. 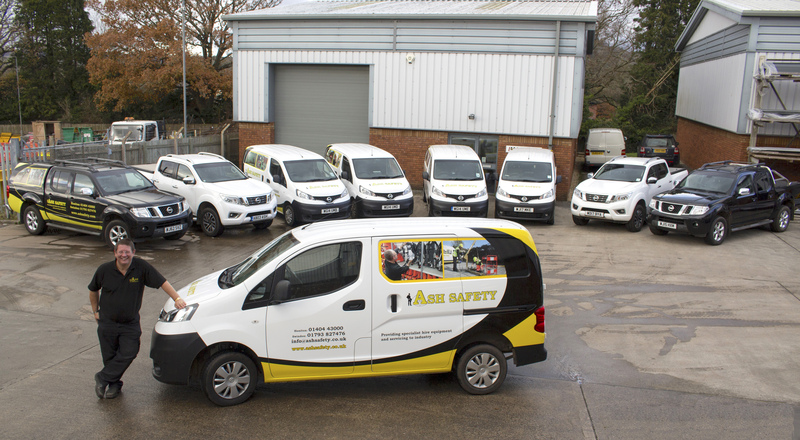 Andre Beard, who founded Ash Safety almost ten years ago, said: “Nissan’s vans are absolutely perfect for our business. For our products, we were looking for vehicles with sufficient load volume as opposed to payload, and the NV200 has more than enough for our needs. And for our delivery drivers, the vans offer much more interior comfort and features than our previous vehicles — when they’re making long journeys it’s important to me that they are comfortable. “Our Navaras are so versatile, as they can be used as regular company pool vehicles, delivery vehicles thanks to their excellent payload, and are also perfect for many of our site visits. 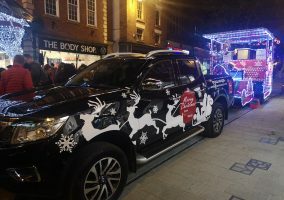 The vehicles were supplied by Jon Davies, Fleet Business Manager at Exeter South West Nissan, which is based on Grace Road West. He said: “Ash Safety produce, hire out and deliver everything from harnesses and breathing apparatus to Hazmat suits and gas leak detectors, so Andre needed a suite of vehicles which could accommodate all of those things. Ash Safety owner Andre Beard with his fleet of Nissans.